We left Bengaluru at 5.30 am. Many times I had done this type of tours along with my family. For MKR, this is his first major tour in India. And this is the first time that we are touring together like this. We require two days to reach Gujarat border. Hence other than talking, we didn’t have much work to do. I will tell you about our discussion which matters here. MKR – From how long you are touring ? BPB – Since 1987 or so. I had RX100 bike then. I have done few tours in my Bullet & Yezdi bikes also. And when I upgraded my vehicle to a four wheeler, these tours increased. MKR – How was the roads then ? BPB – Oh, don’t ask. It was a nightmare to ride the two wheelers then. Roads were full of pot holes. Highways were 2 lanes and State Roads were single lanes. BPB – We are going in NH4 now. I had traveled in this road when it was 2 lane road also. In fact I fondly call these roads as Vajpayee Road. He was the mastermind behind these roads. BPB – I don’t know about the administration and running a government. Govt collects lots of Road Tax from vehicles. It also collects lots of tax on fuel etc. How much is utilized to maintain the roads ? But if I am right, throughout the world, tolled roads are common these days. MKR – Yeah, even in US we have tolled roads. BPB – I like tolled roads. BPB – You see, last time when I traveled in this route many years back, in one day I could cover only 500 kms. From Bengaluru, I could reach Belagavi only. But because of the tolled road, I think today we can cover around 750 kms. The normal toll is Rs 1 per km. But I save this amount in my fuel bill. So it offsets what I have paid. MKR – You are right. BPB – There are other advantages. There is less wear and tear on the vehicle. The breakdown is less. But the biggest advantages are – we don’t get tired; and we can finish our tour quickly. MKR – Can you elaborate ? BPB – Just assume that there are only local roads. We might save on the toll charges. But our Gujarat tour might take around 1 month to complete. But if the roads are good, then even if we pay the tolls, we can finish the same tour in say, 20 days. So we will be saving 10 days’ time as well as the cost for those 10 days. So in my opinion, a tolled road is always better than an ordinary road. MKR – You are right. But we pay so much of tax to the Govt. And what about the local people who use these tolled roads regularly ? BPB – You are right. But I as I said earlier, I have no idea how it works. Soon we reached Dharwad. Along the highway, on right side, you can find this magnificent building. 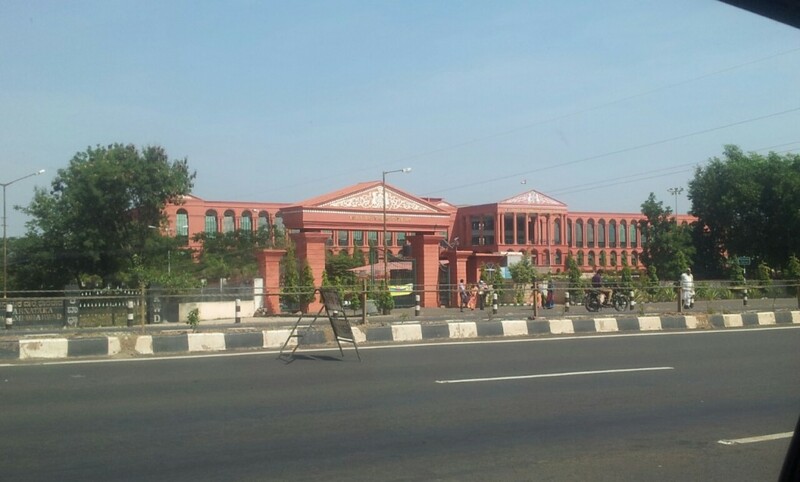 This is High Court of Karnataka – Dharwad bench. And a little while later, we came closer to Belagavi. Again along the highway, on right side, you can find another magnificent building. But what a colossal waste !. 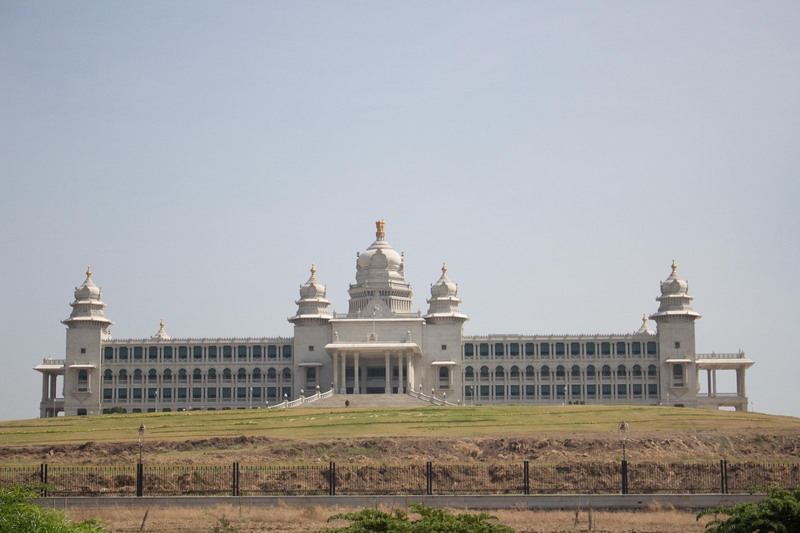 It is used only once in a year, to hold a session of the Karnataka Legislative Assembly. This is how our tax money is wasted by the politicians. They could have constructed some good roads in this money. It was nearing 2 pm and we were near Sankeshwar. It was time for lunch. Bengaluru is one of the best cities in India as far as food is concerned. But when it comes to the highways, Karnataka lags behind other states. We don’t know how the food will be in Maharashtra. So we decided to have our lunch here itself. After the lunch our journey resumed. And our conversation went on. MKR -I think we may have to cover around 8 – 9,000 kms in this tour. Why you did not opt to travel in a taxi ? BPB – There are many reasons. To list a few: See this toll itself. The Govt. collects toll to construct and maintain good roads. And one of the major beneficiaries is the vehicle owner, because of higher mileage and reduced wear-and-tear. But all the taxi operators pass on the toll to us. Actually their reduced fuel cost will cover this toll, but they want us to pay the toll. This is highly unfair. But no one protests. MKR – Any other reason ? BPB – Of course. The taxi drivers will not easily oblige to drive as per our directions. They have a certain mindset. They can’t think beyond that. Many of them are allergic to travel to lesser known places. If we travel continuously for many days, then they start murmuring. Because of this, the mood goes off. And there is no pleasure in travelling in such a scenario. So I always like to travel in my own vehicle than a taxi. MKR – What you would have done if both our cars were not available ? BPB – I had already thought and enquired about that also. For two of us to tour Gujarat, a Tata Nano is more than enough. And we can get self-driven Nano taxis in many cities. So that is not a problem. It was 3 pm. We were at Kolhapur. We decided to take a break. 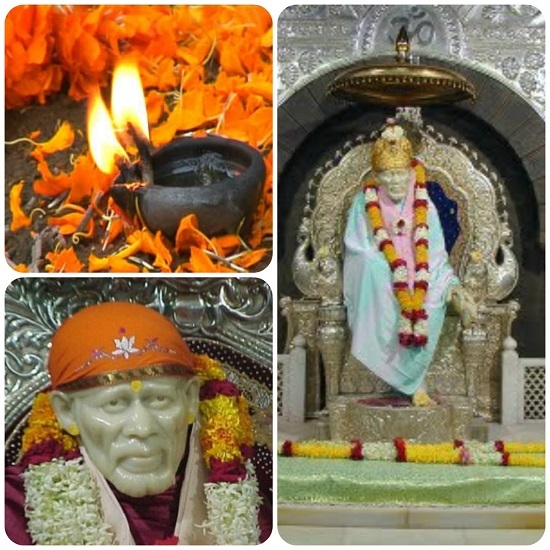 So we thought of having the Darshan and taking the blessings of Mahalakshmi of Kolhapur. MKR opened the Google Maps in his mobile and searched for the driving directions to the temple. Oh, it is so easy! We don’t have to ask anyone to locate the temple. In case if you have not used the Google Maps (or other Maps) so far, let me tell you how to use it. Turn on the GPS and Data Network on your Smartphone (You might need Roaming facility also). Click on Maps App. In the bottom right corner you can find a blue circle with a right arrow in it. Touch it. You will be taken to a new screen. In the top line, click on “car” picture, indicating that you want the driving directions. In the 2nd line, “your location” is displayed by default. This is the most helpful feature of this App. In the third line “choose destination” is shown. Click on it. The keyboard layout appears. Now type out your destination. 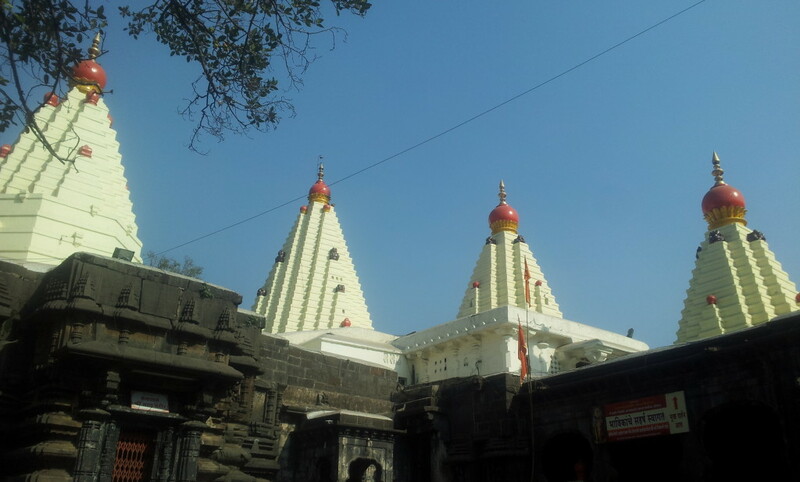 Say “Mahalakshmi Mandir, Kolhapur”. Now you can observe that the Maps show you the driving directions to the temple. And as you start moving, an arrow keeps on moving along the path, indicating your current location on the road. It also speaks in a loud voice about the turns you have to take at intersections. You may try this out in your daily regular driving route and get used to it. But please note:- using mobile in any fashion while driving is prohibited under the law, and is dangerous to everyone. While I was driving, MKR saw the details of the temple in Wikipedia. See, the life is so simple. We were able to locate the parking lot easily. After parking the car, we were able to have a quick Darshan of the Goddess. This was totally an unscheduled visit. I got this video from the WhatsApp. I don’t know whether it belongs to this temple or not. But there is no problem in watching the video. It gives an insight into how the huge temple lamps are lighted. Again we came back to NH4 and proceeded towards Mumbai. Maharashtra highways are famous for Sugarcane and Neera Juices. 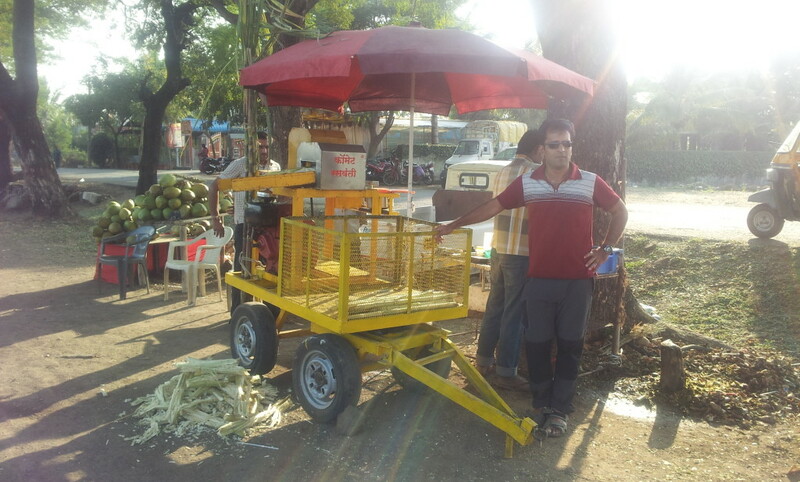 We stopped at roadside to enjoy a cup of sugarcane juice. It was nearing 6 pm. We were at Satara. It is around 100 km before Pune. Pune is a big and costly city. We will be wasting lot of time in searching for a suitable lodge. So we decided to halt at Satara. After wasting almost an hour to find a suitable lodge, we finally settled at Hotel Sai Raja, Satara. (02162-237511, Rs 750/). Nothing great about this lodge, but Ok for a night’s halt. Total distance covered: 753 kms.